What Causes Pipe Corrosion and What Can I Do About It? Pipe corrosion is a damaging problem that owners of both commercial buildings and residential homes may encounter. It is often hidden from the naked eye because it’s so difficult to see what is going on inside the plumbing pipes. People might think that their pipes are in tip-top condition only to be surprised later when they suddenly notice stained water coming out of the faucet. 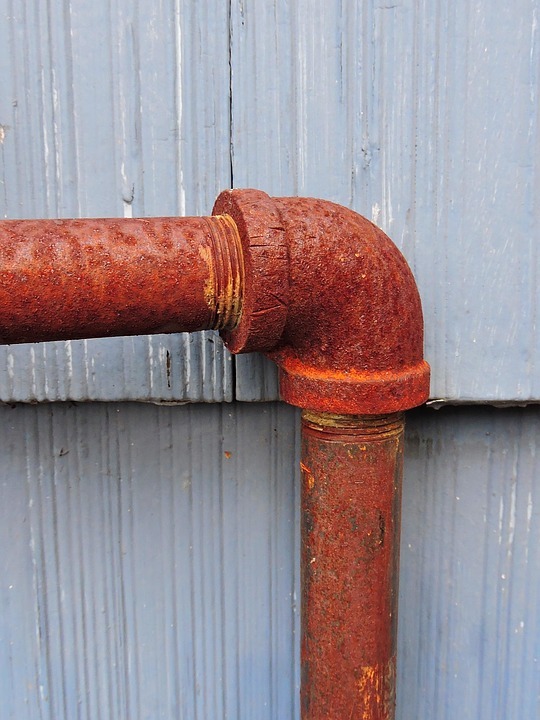 When pipe corrosion sets in, your plumbing system’s good days may be numbered. The best thing you can do is monitor your pipes’ conditions and do any preventative maintenance that you can. There are various reasons why pipe corrosion may occur. Galvanic corrosion: This problem often occurs when different types of metals are placed together in water, such as steel and copper pipe. The point of contact between the two different metals develops a bluish green deposit. Deposits: During the construction process of a new plumbing system, deposits of non-metal substances may remain inside the pipes. The foreign deposits can result in corrosion that can quickly progress to pits on the pipes until they form pinhole leaks. Water chemistry: Water chemistry is a significant contributor to pipe corrosion. There are two important factors here: the pH of the water and how oxygenated the water is. Metal pipes easily corrode when the pH level is below 7. When the water pH is high, however, it has little to no effect on the durability and integrity of the pipes. Highly oxygenated water can degrade metal leading to a buildup of corrosion products that line the walls of the pipes. This can restrict the flow of water and cause water discoloration and eventually pipe failure. Erosion corrosion: The fast flowing water and the air bubbles that constantly pass through the pipes can degrade the interior of the pipes because they are so abrasive. Over time, this will result in the thinning of the pipe’s wall and eventual pipe failure. Water temperature: If hot water constantly passes through the plumbing pipes, it could result in more corrosion. The hotter the water inside the pipe, the more pronounced the corrosion will be. Microbiologically influenced corrosion: This is also known as bacterial corrosion, and it is caused by the microorganisms in the water, the most common of which are chemoautotrophs. This type of corrosion applies to both metallic and non-metallic pipes. If your plumbing pipes are showing signs of corrosion, the first thing that you need to determine is the type of corrosion that is affecting them. You should call in a professional plumber and seek advice about how to mitigate the problem and save your plumbing pipes from further deterioration or failure. This type of plumbing problem is better left to the care of professionals. We do not recommend attempting a DIY project to solve this problem.